I've got a 2wd 85 S10 Blazer that I'm currently doing a LQ swap in. 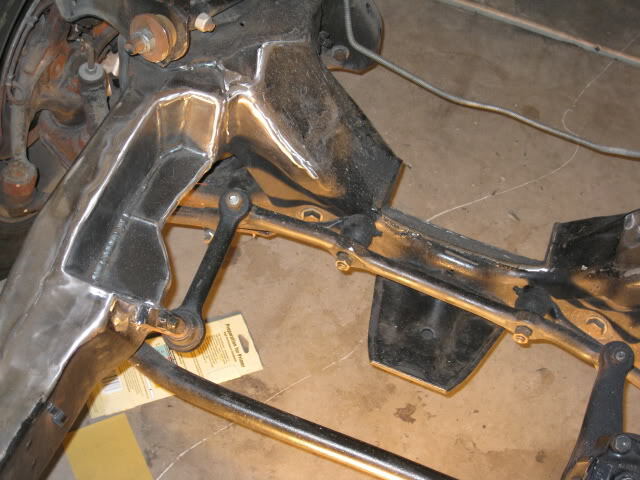 I did quite a bit of research before I started this and I know that the truck oil pan wouldn't fit without notching the crossmember and then the oil pan would still hang below. However on my truck it is 1+ inch above the crossmember. I'm using cpw poly mounts and stainless works long tubes. I have noticed that on my blazer I have these pedestals that the mounts fit on. And in other posts and pictures that not all of the S10 come with these mounts/pedestals. Should I remove them to set the engine down further? Are there bolt holes under these? Will my headers still work, cpw doesnt say abything about the pedestals on their website? What is everybody else doing? Post some good pics of what you have. The Blazer has an additional pad. It can be removed. IIRC on the early trucks there are 3 bolts holding those frame mounts in. Unfortunately they didn't start welding the nuts to the frame until later so you need to get a box wrench in there to hold the nuts. Can be a real PITA on one of them, but it can be done. Sorry guys I had tried to embed pictures but they didn't upload for some reason. Trying to use tinypic. I can email them to somebody if they could post them. Host at www.postimage.org. Share using the Hot Link for Forums tag. You'd better use Postimage or he wiil hound you unmercifully (lol) until you do! Postimage does work great!!! I don't care if he draws pics on toilet paper. He said he was having trouble so I offered an alternative....j/s. And I had run across some without that looked like this. So just cut the stands off and and drill 3 holes to mount it? Any suggestions on figuring out where the holes need to be placed? Install the mounts and lower it into place. 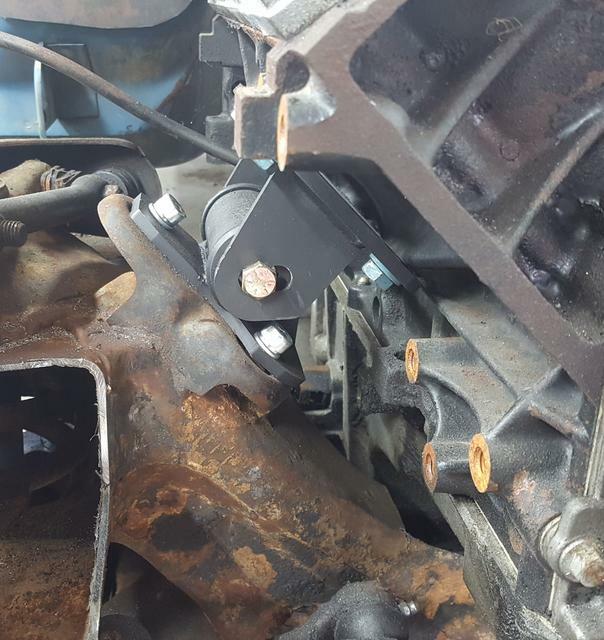 If the transmission is attached, line the transmission up where it belongs. Tack weld the frame mount into place. Remove engine and finish the well, or mark and drill/tap holes.